Eight women accused Freeman of sexual harassment in a CNN report published this morning. His alleged bad behavior happened on movie sets and included one of the CNN reporters, Chloe Melas, who co-authored the story. Melas accused Freeman of inappropriate behavior on a movie junket. In response, Freeman issued a statement of apology. "Anyone who knows me or has worked with me knows I am not someone who would intentionally offend or knowingly make anyone feel uneasy. 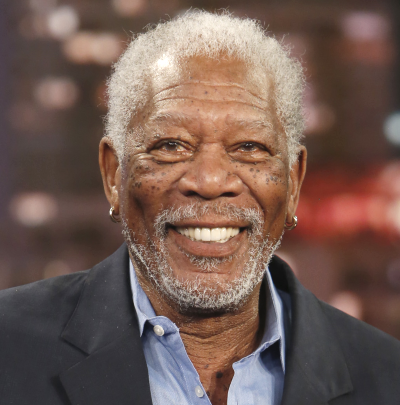 I apologize to anyone who felt uncomfortable or disrespected — that was never my intent.” Freeman's TV credits include National Geographic's The Story of Us and The Story of God, in which he serves as executive producer and narrator. He also executive produces CBS' Madam Secretary and appears on the series occasionally as a Supreme Court justice. Neither network has yet to respond to the allegations against Freeman.